Rock Point School is a small and unique learning community. We serve students from a variety of backgrounds who have struggled to find their place in more traditional schools. We treat each of our students as individuals and are constantly helping them to identify ways in which they can be successful, both in the classroom and in interactions with their peers. Our college preparatory academics develop students for life after high school wherever it may take them and our residential program challenges and captivates student interest in new and exhilarating activities. We are a community in every sense of the word where young people can find a place where they are valued, understood and where they belong. The student experience at Rock Point School is based on relationships and one of our greatest assets is our dedicated educators. The best way to understand the school is to meet the people who work and study here. 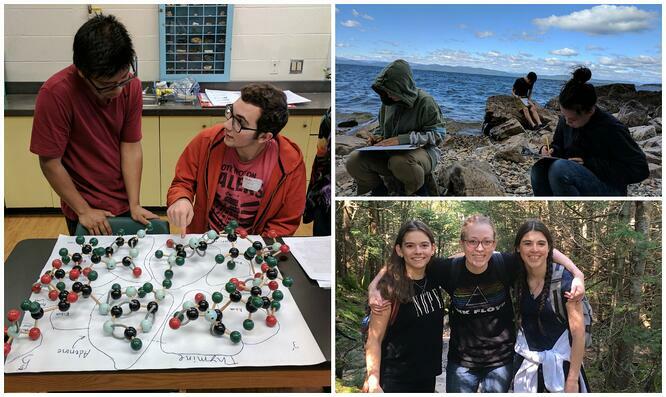 Rock Point School is located on 125 acres of lakefront property in beautiful Burlington, VT. Our students thrive in a unique environment that combines easy access to nature with a small, safe, fun city just down the road. We are proud to have been founded in 1928 with a mission to serve young people that has remained strong to this day. Rock Point School is a registered 501(c)3 nonprofit organization.